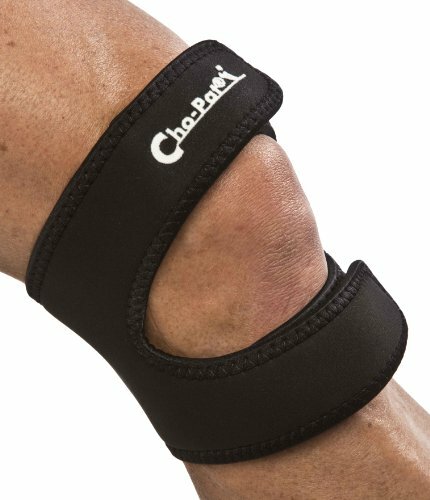 Cho-Pat Dual Action Knee Strap is a patented device that applies compression above & below the knee to offer pain relief & protection from knee degeneration & overuse syndromes. The hook-and-loop closure strap support is far superior to any single patellar strap due to providing stability without inhibiting motion. Activities can now be accomplished with Dual Action Strap that otherwise couldn't be performed because of pain & inflammation. For maximum performance, properly measure to find the correct size. Measure around the leg at the center of the kneecap. Sold in black and tan. The purchase of this product includes 1 knee strap. CAUTION: Please be aware that the only authorized sellers for this product on Amazon.com are Preferred Pro-Formance Products, Therapy Connection, Ithaca Sports, and Arx Medical. Please call this number if you have any questions about this product - (817) 865-1207. For returns, please contact the seller directly.